KALEIDOSCOPE ART GLASS VASE by Accent Plus home decor, jewelry, decor, decorations, electronics, fountains, floor mats, art glass, vases, garden essentials, fireplace screens. 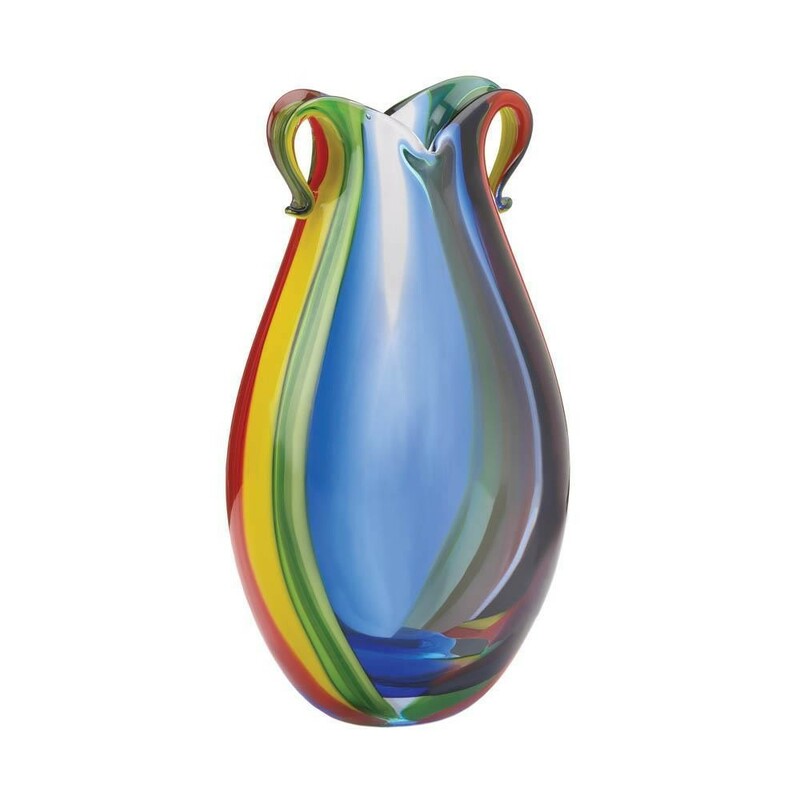 This gorgeous vase displays a kaleidoscope of colors which makes it an unparalleled contemporary work of art. The unique shape features elegant curves accented by a rich color palette of red, blue, green and yellow. Fill with a small bouquet of flowers or display as a stand-alone decorative piece. This would make a beautiful hostess gift, or a wonderful gift for anyone. Material(s): GLASS. Weight 8.2 pounds. Dimensions 6.5" x 6.5" x 11.8".